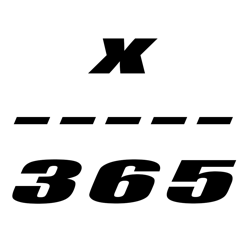 X of 365 is a great companion to 365 photo projects! X of 365 makes it easy to determine the ordinal day of the year. 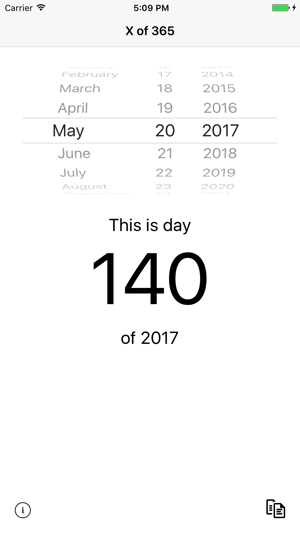 When the application starts, it will display the current date and the ordinal day. You can find the ordinal day of the year for any date by changing the date spinner. 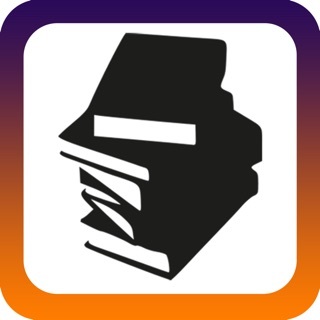 A tap on the copy icon will copy the day information to the clipboard. To reset the spinner to the current date, just shake your device. The application has been completely rewritten. It now supports iOS 10, has a much cleaner look, and simpler operation. Pretty UX. Easy to use. Wish the icon displayed the current ordinal date. Also wish this was a plugin to the iOS calendar app, but this is Apple, the source code is not open, nor avaliable for modification.